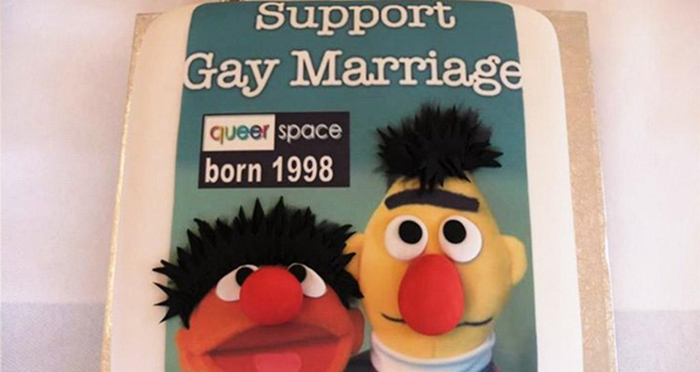 The UK Supreme Court has this morning ruled in favour of Ashers, a bakery in Northern Ireland which refused to make a cake iced with the slogan: ‘Support Gay Marriage’. A five-judge panel of Lady Hale, Lord Mance, Lord Kerr, Lord Hodge and Lady Black made the decision. The Ashers owners, who are Christian, were sued in 2014 by gay rights activist Gareth Lee for discrimination on the grounds of sexual orientation and political beliefs. Having lost the initial case and the subsequent appeal, they took the case to the Supreme Court — and won. The key point made by the judges was that Ashers’ objection was to the message on the cake and not to Lee’s sexual orientation — as they ruled that it’s OK to refuse to promote gay marriage provided that you do not discriminate against gay people. Human rights barrister Adam Wagner has been analysing the judgment. 3/ The question is where you draw the line. Does this mean a greeting card company would be able not to make cards for gay marriages as to do so would be to “manifest believes one does not hold”? How does that work, if the cards are in reality being used by others? 6/ The difficult I have with the reasoning is that it’s not clear to me why the provision of a service, baking a cake for someone else, in a private business, is equivalent to making soldiers swear a Christian oath they don’t agree with. 7/ Does this now mean that business owners can refuse to fulfil orders which they disagree with on a moral level? Perhaps it does. But I’m not precisely sure why fulfilling an order for someone else is manifesting of speech. The decision will have major implications for discrimination claims, but it seems that on this occasion Gareth Lee won’t be having his cake or eating it. The post Gay cake judgment: Human rights barrister explains what you need to know about today’s big decision appeared first on Legal Cheek.